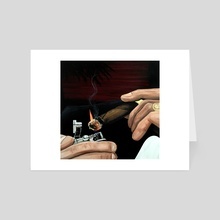 Original painting of a man smoking a cigar. 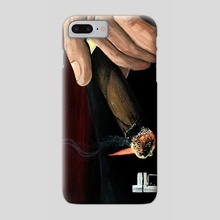 Lighting it up with a cigar lighter. 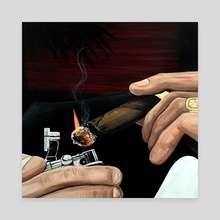 Created by using acrylic paint on canvas.